This is a three part series (broken up for length) on the 10 most valuable lessons I learned from playing poker on a semi-professional level. When I graduated college, I left with a degree in Economics, one course short of a minor in Bio-Chemistry, and absolutely no clue what I wanted to do with my life. I graduated in 2005 and had been playing poker for about a year. The poker scene was heating up quickly with the Cinderella story of Chris Moneymaker’s 2003 World Series of Poker main event victory. The ‘Moneymaker effect’ was, for lack of a better word, in full-effect. Like millions of other people, I was inspired. I remember my first encounter with the game. I was waiting patiently for my (now ex) girlfriend to get ready. We were headed out the door for something… well, we were supposed to be. I was flipping through the channels and ESPN was covering a World Series of Poker event. I was instantly intrigued. I recall thinking ‘this looks easy, I could do that!’. In the following weeks I signed up for an online poker account, funded it with a paltry $50 and began teaching myself how to play. I refined my game during my final year of school and grew that original $50 to about $20,000 before graduation. Not knowing what I wanted to do with my life after school, I decided to support myself playing poker. I did this for about a year and a half before utilizing my poker playing experience to land a job trading foreign currencies at a hedge fund in Chicago. Poker is littered with instinctual plays. There is often no other explanation for doing something other than, ‘it just felt right’. I’ve often been asked how I ‘knew he was bluffing’ or how I was ‘able to make that play’. You don’t know these things, not until you’re proven correct at least. You feel them. Suddenly, you start to feel these things over and over and begin to notice patterns. Eventually, you start acting on these feelings without questioning why. Startup Application: Instincts and ‘feelings’ are always present, it’s recognizing them that’s the hard part. Whether it’s taking a chance hiring someone you believe will be a good addition to the team, or pushing to get into an incubator program because it feels like it’s the right decision, instincts play a huge part in decision making. If you can’t learn to listen and follow your instincts, you’re going to have a hard time making decisions under pressure. If you plan to play poker seriously, you will constantly be forced to make big, quick decisions on the fly. During any given hand, you must think about your action, the effects of that action, the actions your opponents may take, how that may effect your next actions. What about potential outcomes? What if the flop is unfavorable, will I throw out a continuation bet? What if he moves all in, will I call? With each hand, there are hundreds of questions that race through the mind. These are simply a few. The beauty is that these questions, and the answers that follow, must all happen within seconds. Startup Application: As an entrepreneur, you must make vital decisions on a daily basis. Some of these require fast thinking… after-all, nimbleness is one of your top assets. Playing poker for a long time trained me to be comfortable making quick decisions under pressure. Its now second nature. A good poker player knows how to calculate risks. This is done quickly, mentally, generally under a lot of pressure, and in a very disciplined manner. Winning percentages and pot odds are some helpful quantitative approaches, while knowledge of your opponent’s tendencies and habits are good qualitative ones. Both are significant and are used to help make big decisions and manage risk at the poker table. 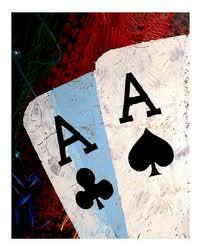 A good poker player knows that you can’t play to win, if you can’t play at all. Go broke, or bust out early… go home. Startup Application: Good entrepreneurs know that your startup’s success is heavily dependent on the length of your runway. 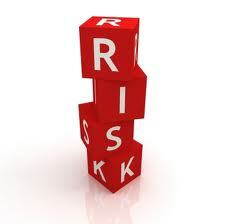 Always be mitigating risks whether they be monetary, time, people & relationships, etc. The longer you can stay in the game, the better chance you have at becoming a success. Can you potentially get by without raising another round while money is easily accessible? You should probably raise it, just in case. Hitting the rail early is no fun. Nobody wants to be a cheerleader for the game they used to be in.